Loads of Sinclair stuff in there, including the Super QL, Pandora laptop etc. In fact, the QL with built in Wafer drive features on the front cover. I could not recall if it had been discussed here before, nothing came up when I did a search, so I thought I'd flag it up for those who might be interested. It covers Babbage to mobile phones, so there's a quite a range of good material in there, much of which I'd never even heard of. Update: added a pic of the book cover. Looks a great book! I just love that red and black QL wafer set up, just a fantastic looking bit of kit. It still looks a million miles better than anything we have now. vanpeebles wrote: Looks a great book! I just love that red and black QL wafer set up, just a fantastic looking bit of kit. Yep - Rick Dickinson definitively was a genius. The wafer stack sortof resembles a Cray I or II that used similar design elements, the nearly frameless keyboard would be completely en vogue today. Shame the Waferscale Technology was a dead horse from the very beginning. Question is: Would Sinclair have been daring enough to put such a progressive design in production in the mid-eighties? I fear they would have softened it down to something not-quite-as-pretty before actually selling it. 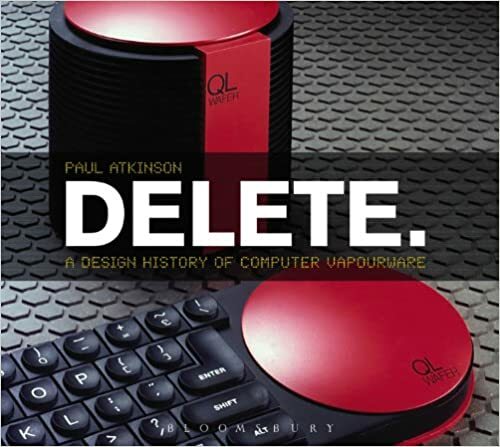 Interesting - I wasn't yet aware of the book but the photo is well known from Ricks Flicker Album "QL and beyond" https://www.flickr.com/photos/9574086@N02/sets/72157600854938578 Also the "Pandora to Z88" has interesting designs. Does the book offer anything in addition to the Flicker designs? I had never seen that Flickr stream, so thanks for that information. In terms of the book, I think nothing new. The pandora laptop is shown, as is the flat TV etc. So probably nothing brand new. Of course it's not just photos but also the narrative around the various projects which is equally fascinating. There are some very, very odd looking machines in there. Even IBM got funky before deciding on beige boxes. curious - sounds intriguing, I think I might buy the book after all... thanks!